I was invited to take part in a press preview of the movie The Big Wedding with an all-star cast of Robert DeNiro, Dianne Keaton, Susan Sarandon, Amanda Seyfreid, Robin Williams, Katherine Heigl & Topher Grace. This was quite an exciting experience as I was able to meet a ton of other press and media personell plus felt a little special getting to see the movie before anyone else! The synopsis says "THE BIG WEDDING is an uproarious romantic comedy about a charmingly modern family trying to survive a weekend wedding celebration that has the potential to become a full blown family fiasco. 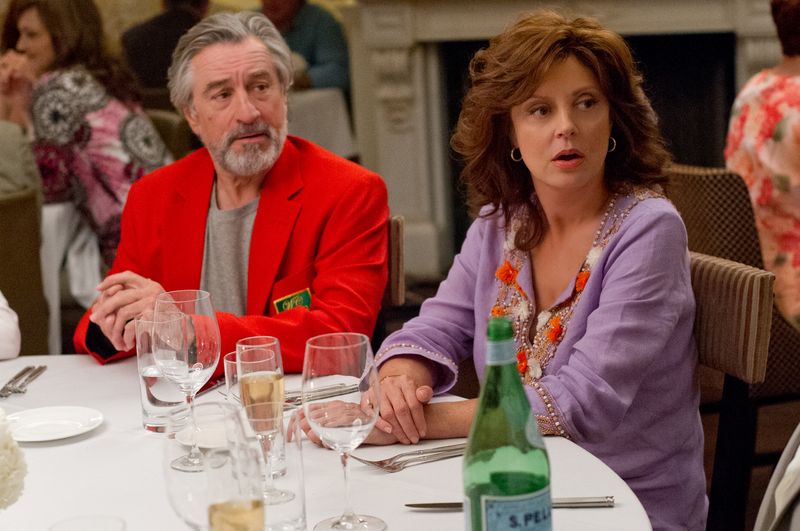 To the amusement of their adult children and friends, long divorced couple Don and Ellie Griffin (De Niro and Keaton) are once again forced to play the happy couple for the sake of their adopted son's wedding after his ultra conservative biological mother unexpectedly decides to fly halfway across the world to attend. With all of the wedding guests looking on, the Griffins are hilariously forced to confront their past, present and future - and hopefully avoid killing each other in the process." I honestly had my eye on this movie to begin with so I was pretty pumped to see it regardless of the preview opportunity. I thought this movie was HILARIOUS! I'm definitely going to see it again, hopefully with my mom and my aunts this time since I swear the DeNiro character is totally my Uncle Tom. Both myself and my guest thoroughly enjoyed the film as there so many parts which we could relate to a truly real family and all their faults. This is definitely an adult themed movie though so I wouldn't recommend for too young of eyes OR ears for that matter! Recommendation: Keep in mind that it is a rated R movie and for good reason. There is A LOT of swearing and sexual references. But if you can get past it, this movie is like a mix between American Pie wedding and the shenanigans of I Love Lucy.